Trespassing Modernities, the summer exhibition at SALT Galata, which opened on May 8 and continues until August 11, immediately piqued my interest, for the show traces the legacy of post-Stalinist architecture in the former Soviet Union – a place both familiar and mysterious to me, having been born in Russia but moving to Australia at the age of seven. 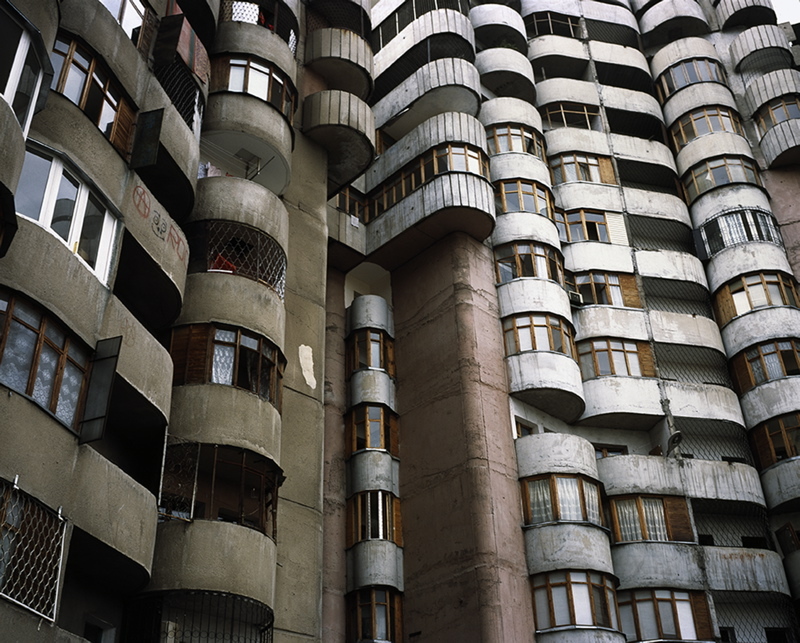 I still have vivid memories of the grey, square, imposing monstrosities that were called ‘apartment buildings’ in those times – we lived in one in Odessa, Ukraine in the late 1980s. This stereotypical image of such buildings prevails to this day, amongst ex-Soviets who knew these buildings first hand as well as in the Western world. 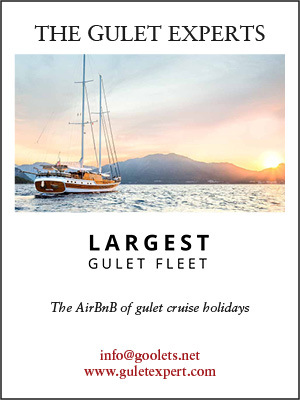 But is this the whole story? 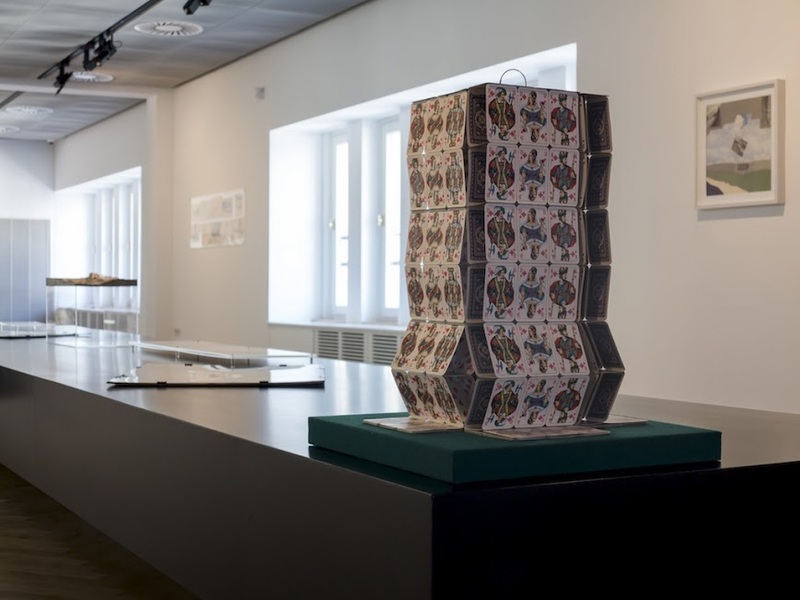 Trespassing Modernities, a title that doesn’t really do justice to the premise of the exhibition, attempts to break away from this stereotype and explore the lesser-known history of Soviet architecture between 1953 and 1990. 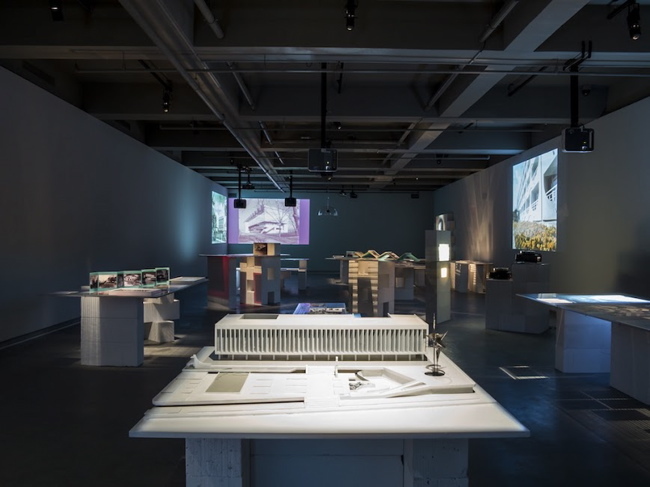 Curated by Georg Schöllhammer and Ruben Arevshatyan, the show was spawned by a collaborative project initiated in 2001 (by them and others) called Local Modernities, with the aim of ‘showing how architecture is embedded in a wider, ideological landscape’ by tracing architectural movements in different parts of the world and different periods. They started their research in the Caucasus, a region that was part of the Soviet Union, and other ex-Soviet states were a natural progression. 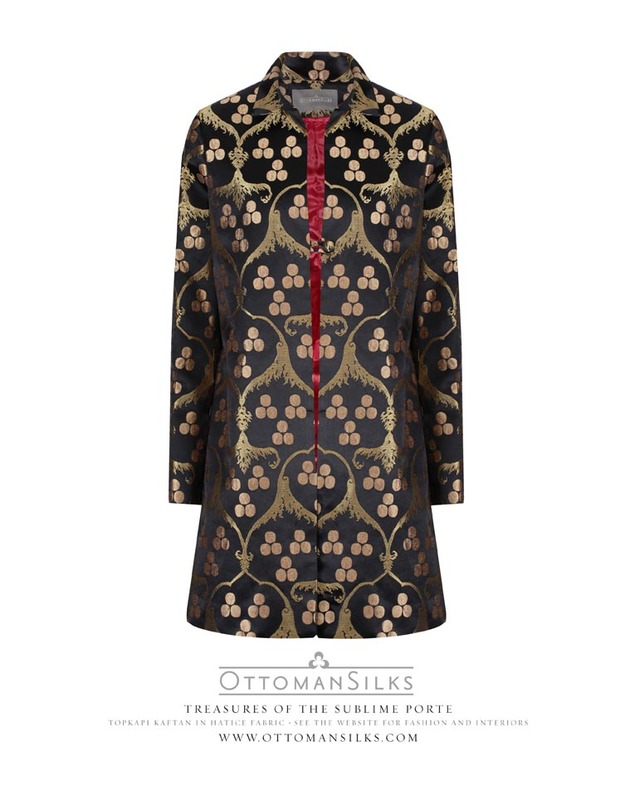 Research of this kind is becoming increasingly important, Schöllhammer tells me, as countries fail to archive aspects of their past they would prefer to forget, resulting in ‘great treasures being lost’. The reluctance of ex-Soviet countries to keep records of architecture from this period is due, Schöllhammer believes, to the perception that it represents ‘colonialist architecture’. True, post-Stalinist architecture tended to encompass socialist ideals, conforming to the dictates of the central planning bureaucracy, which favoured a uniform, functional style and left little room for experimentation. Leonid Brezhnev, general secretary of the Communist Party of the Soviet Union from 1964 to 1984, was especially interested in architecture fitting into an industrialised-style mould. But in the 1970s he started allowing architects more freedom, which in turn gave way to buildings displaying decoration or following certain themes. The Paper Architects movement, which began in the 1980s, was a further reaction to the lack of creativity allowed to architects. Through this genre of conceptual architecture – designs that were never built – young architects at least had a channel for their creativity. Their work, along with other newly revealed aspects of post-Stalinist Soviet architecture, is displayed at ‘Trespassing Modernities’. The exhibition’s design reflects its themes and ideas. The main space has stations set up which focus on a particular theme or architect, with large screens on the wall showing static visuals or films about the this period of Soviet history. This basement space, strictly structured and lit only by the various visual media on display, almost transports you back in time. Here film, photography, scale models, drawings and ephemera are arranged chronologically and thematically. 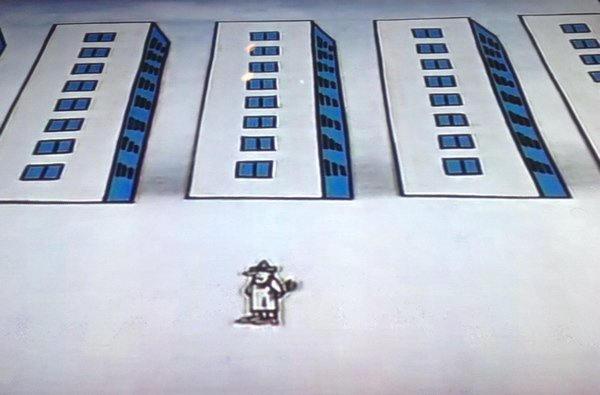 For example, a cartoon depicting the monotony of everyday Soviet life matches the monotony of its buildings. 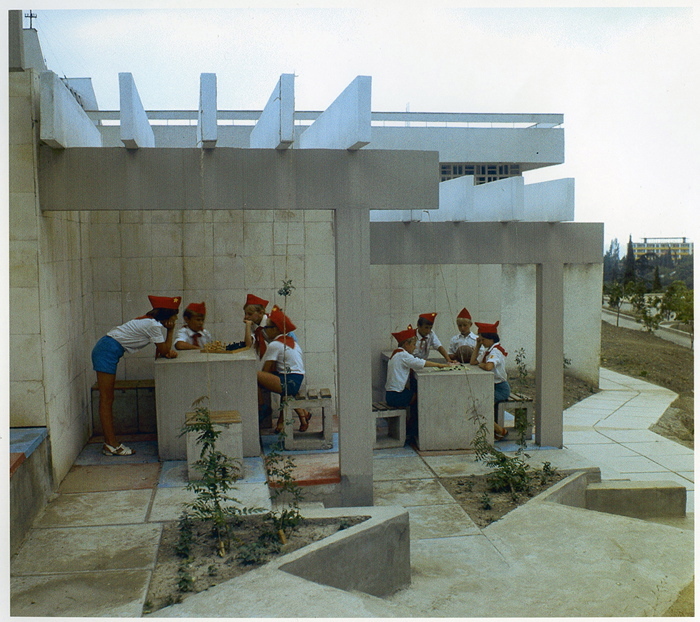 Pioneer Camp Chaika, Alushta, Crimea (1968–1979). Architects Tatyana Belyaeva, Alexander Linkov. Courtesy of the Belyaeva Archive. Emphasis is given to the way architecture reflected different demands and environments – industrial/factory, art/cultural, public/recreational/educational (the designs of a Ukrainian summer camp brought back memories for me) and spaces for the elite. This area also focuses on the Cold War dichotomy between West and East. 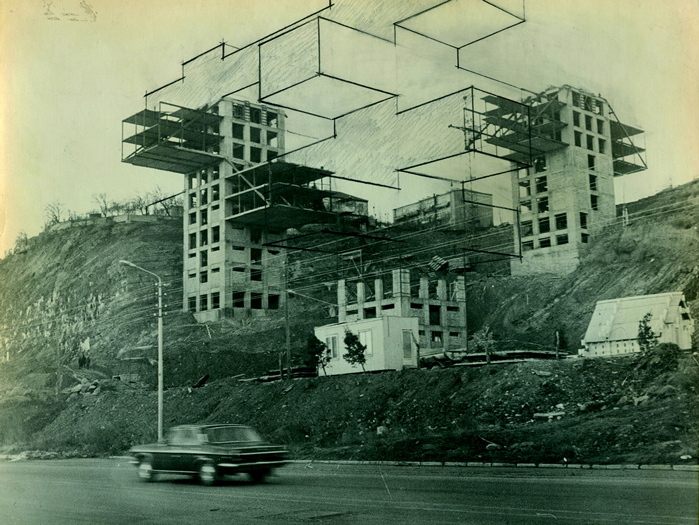 George Chakhava, minister of highway construction in the 1970s, designed the Transport Ministry in Tbilisi, Georgia, a structure consisting of a monumental grid of interlocking concrete forms inspired by the designs of the Russian constructivists of the 1920s. By contrast, his free sketches of the summerhouses he designed for members of the Soviet elite show a far less structured style, reminiscent of Hollywood bungalows – a clear example of East borrowing from West, Schöllhammer points out. A photo series showing scenes from Soviet life in the 1970s uses the strict structure of a photograph’s shape and an almost voyeuristic eye to zoom into the identical homes of ordinary citizens. 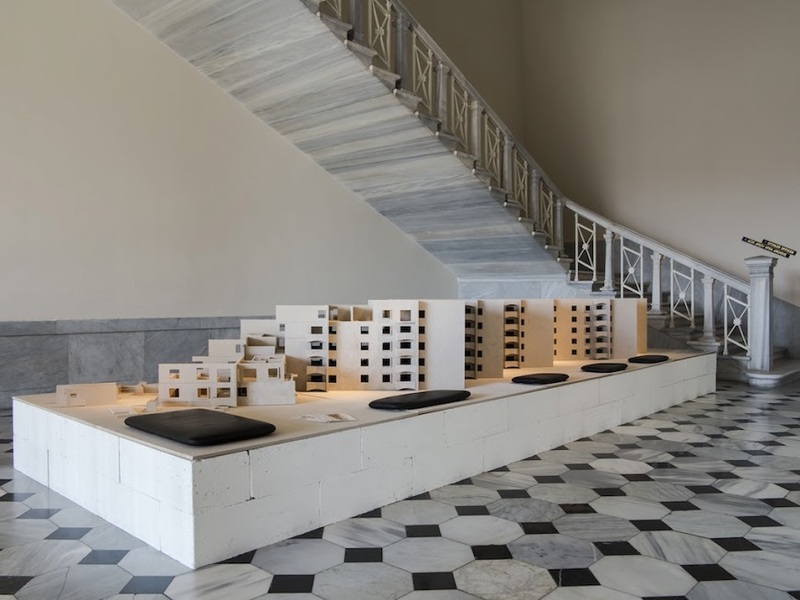 Level 1 of the exhibition is given over to a solo display of a 1:50 scale model of a standard housing project – an example of a building that somehow broke the rules, according to Arevshatyan. But how, and why? The design of residential housing was always a conflicting dialogue between the state and the architect. Though the state owned all the space and gave all the jobs to its own people, leaving architects no choice but to abide by the rules, they always attempted, Arevshatyan says, to ‘play with them’. Level 3 displays artistic experiments of the Paper Architects. The space is set up like an art exhibition, in order, Schöllhammer says, ‘to comment on and do justice to the very personal language of the master architects of the time’. 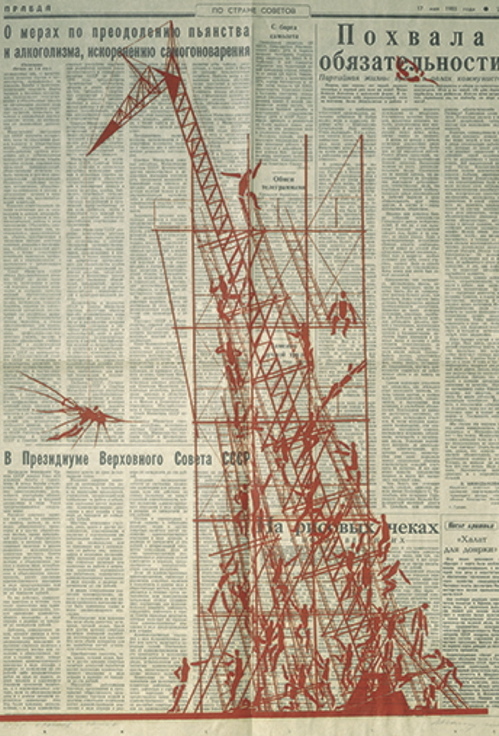 A bright red fire escape sketched on a Soviet Communist Party publication by Yuri Avvakumov (the man responsible for the term Paper Architecture), is a clear example of revolt. Likewise, his house of cards model suggests that it can all come crushing down at any second. Schöllhammer describes the research responsible for this exhibition as ‘ground breaking’ and believes it will ‘contribute to the narrative’ of Soviet architecture. It is all the more important, he says, because the architects of that period are dying – and their architecture is dying with them.